I am a big fan of when skin care companies create products in extremely easy to use packaging. The main reason for this is because even when I am very lazy or tired the product is still so convenient and cannot be skipped. The best example of this that I have come across in the world of beauty and skin care products was the invention of facial toners in spray bottles. Don’t get me wrong, these products were not likely invented for that reason (if they were, kudos!) and I am putting my own association with these products. Applying the toner part of my skin care routine was never my favourite because it wastes a cotton pad and wiping it all over you face is already done with every other step in the routine. Sprays bottles make for the easiest of applications of a couple spritzes to your face and you are good to move on to the next step. I have picked out a few of my favourite facial toners in spray bottles to talk about in case anyone felt like making this step in their routine a little easier. My first step into the world of spray bottle toners was the LUSH Breath of Fresh Air Toner Water. This miracle product is an ocean spray based toner that is suitable for all skin types. It is great to spray on your face to keep cool during hot temperatures and you will be thankful for this spray especially if you keep it in the fridge. A key ingredient in this one is aloe vera, which is excellent for soothing and rehydrating damaged skin. Aloe vera, and also rose absolute found in this product, have always been a great thing to put on your skin after a day in the sun to help cool down and sooth dry areas. This definitely is a great summer time option. Other ingredients in this toner include: fresh seawater that gently cleanses your skin and seaweed extract that softens and provides essential vitamins and minerals. Since the first toner I tried from LUSH was such a hit, I thought I would try a second one. I picked up the LUSH Eau Roma Water Toner Water because of the rose scent and this one is more targeting for moisturizing and soothing dry, sensitive or maturing skin as the main purpose. Moisturizing and soothing for dry, sensitive or mature skin. This product has been known to be wonderful for restoring parched skin if you ever feel your skin is lacking the much needed moisture. The fresh rose water helps retain moisture and is mildly astringent, which evens skin tone and improves its appearance. I will tend to use this one mostly in the evening time as my night time toner so give my skin that extra bit of moisture while I sleep. I think I still prefer the first one, but this is still a great one to consider and might even be best as a winter or cold weather toner. 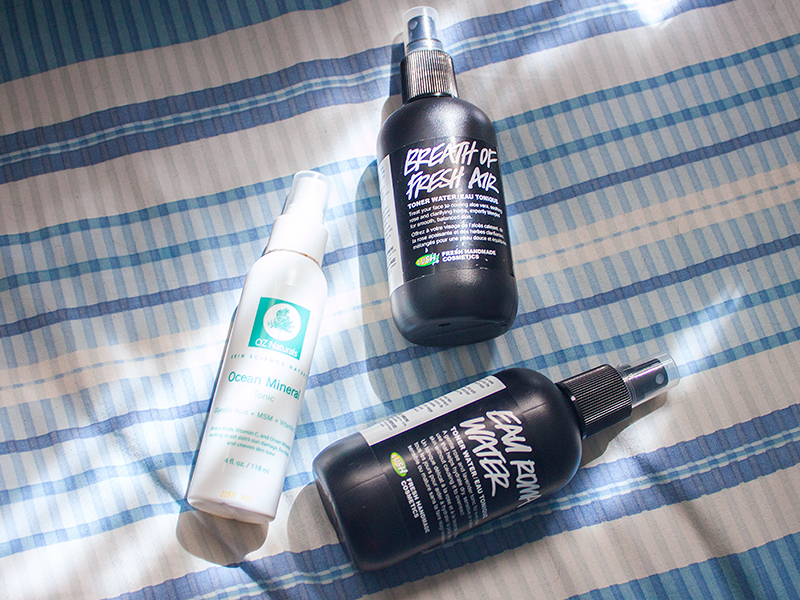 Taking a step away from LUSH to try a spray facial toner from another brand that I have started using lately. I got the OZ Naturals Ocean Mineral Facial Toner to test out. This product provides a great base layer for applying serums and moisturizers and helps to prepares your skin for makeup application. This toner contains a naturally potent blend of glycolic acid, ocean minerals, vitamin c, and amino acids that all work together to heal and restore your skin to looking its absolute best, even when dry and sun damaged. One really interesting thing I found out about this product is that is also contains organic sulfur, which acts as a healing solvent, driving ingredients deep into your cells for nutrients to move in and toxins to move out. I would compare this one to the ocean spray of the LUSH products, but with a much stronger scent to it. 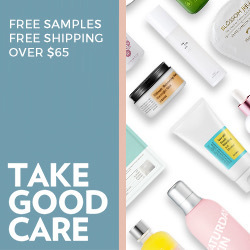 The scent is the only downside of this product for me, but the scent settles in mere seconds and the skin benefits that this product provides make this product definitely worth it. I hope this post has helped open your eyes to a few possible ways to speed up your skin care routine, or just make it easier for when you are too lazy or tired. Toner is an important step that is not to be skipped! Leave a comment below if you know any facial toners in spray bottles that you love and think I should know about, or if you have tried any of the ones that I featured above. I always love to hear feedback from other people on their experience with products I use as well.